NEW YORK: Asthma patients may soon do away with their inhalers as researchers, including one of Indian origin, have developed an integrated, wearable system that monitors a user’s environment, heart rate and other physical attributes with the goal of predicting and preventing asthma attacks. “We have tested the system in the benchtop and on a limited number of human subjects for proof of concept demonstration and have confirmed that all of the sensors work, and that the system accurately compiles the data,” said study co-author Veena Misra, professor at North Carolina State University in the US. The system, called the Health and Environmental Tracker (HET), incorporates a host of novel sensing devices, which are incorporated into a wristband and a patch that adheres to the chest. The wristband focuses largely on environmental factors, monitoring volatile organic compounds and ozone in the air, as well as ambient humidity and temperature. The wristband also includes additional sensors to monitor motion, heart rate and the amount of oxygen in the blood. 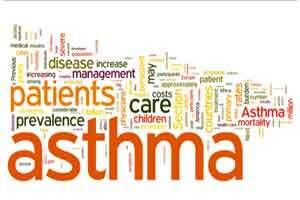 “This summer, we plan to begin testing HET in a controlled environment with subjects suffering from asthma and a control group, in order to identify which environmental and physiological variables are effective at predicting asthma attacks,” Misra noted. Asthma patients currently rely on inhalers to deal with their symptoms, which can include often-debilitating asthma attacks. “Our goal was to design a wearable system that could track the wellness of the subjects and in particular provide the infrastructure to predict asthma attacks, so that the users could take steps to prevent them by changing their activities or environment,” principal investigator Alper Bozkurt, Assistant Professor at NC State, noted. A paper describing the work was published in the IEEE Journal of Biomedical and Health Informatics. “Preventing an attack could be as simple as going indoors or taking a break from an exercise routine,” lead author James Dieffenderfer, PhD student in the joint biomedical engineering programme at NC State and the University of North Carolina at Chapel Hill, explained.